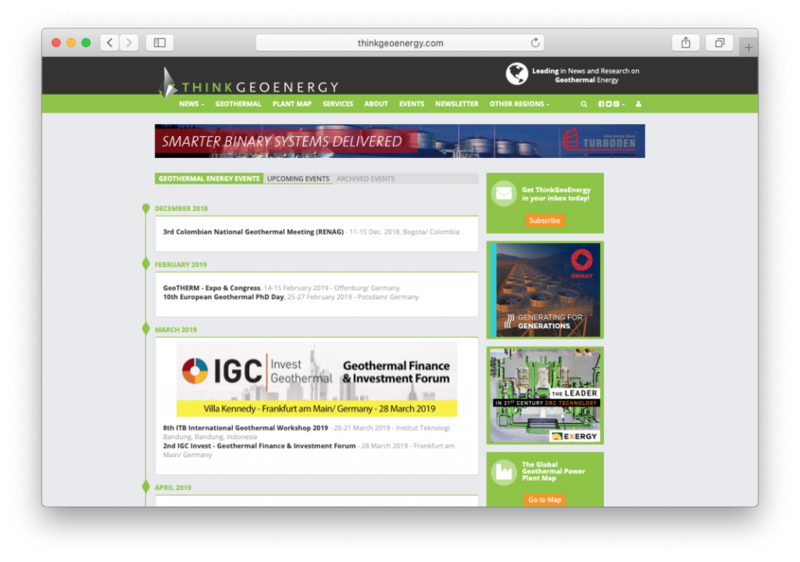 The ThinkGeoEnergy overview on geothermal energy events for the upcoming months and beyond ... with an up-to-date list in our official event listing on our website. For the past 10 years, ThinkGeoEnergy has maintained its overview on geothermal energy events happening globally. To check out the overview on upcoming, as well as past geothermal events click on “Events” on the menu above, or here.